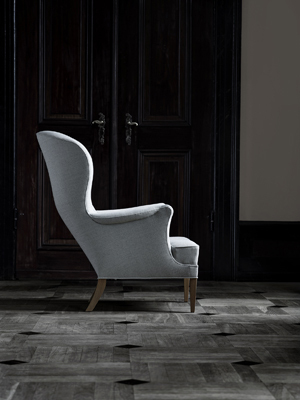 Designed in 1930, the Heritage Chair (CH419) by Frits Henningsen was recently re-released by Carl Hansen & Son. 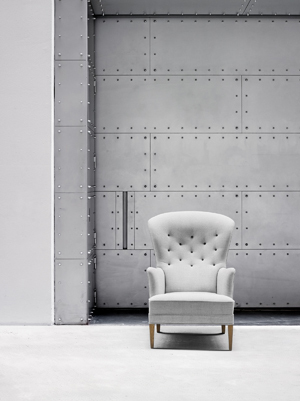 This contemporary armchair combines a high level of detail and quality, with warm and elegant lines that marks perfection in design. 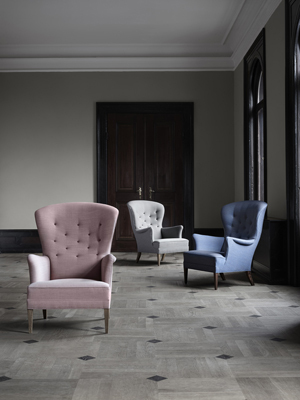 Originally inspired by classic British styles, this armchair has become a classic in itself with a Danish interpretation. 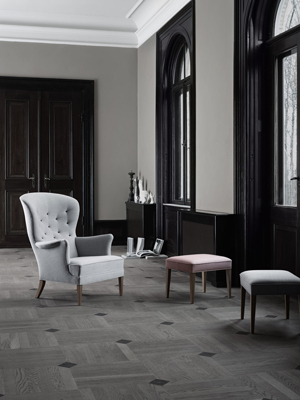 The armchair is available in fabric or leather, with legs in oak or walnut. An optional matching footrest is also available. This chair is now available in Europe, and is expected to be available in the US in January 2014.